It has been years and hope you still remember me. 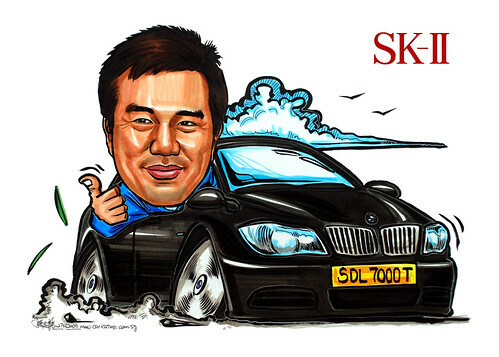 I need your help as one of our colleagues is leaving the company, and we want to present this caricature to him on Friday evening. Kindly incorporate our SK-II logo also." Can't remember how long when she first approached for my drawing service. Maybe when I was drawing in Clarke Quay?! About 10 years ago? I have some impression of her name, and I remember her upon seeing her face when she collects this caricature. "Very nice. Looks very much like him!"